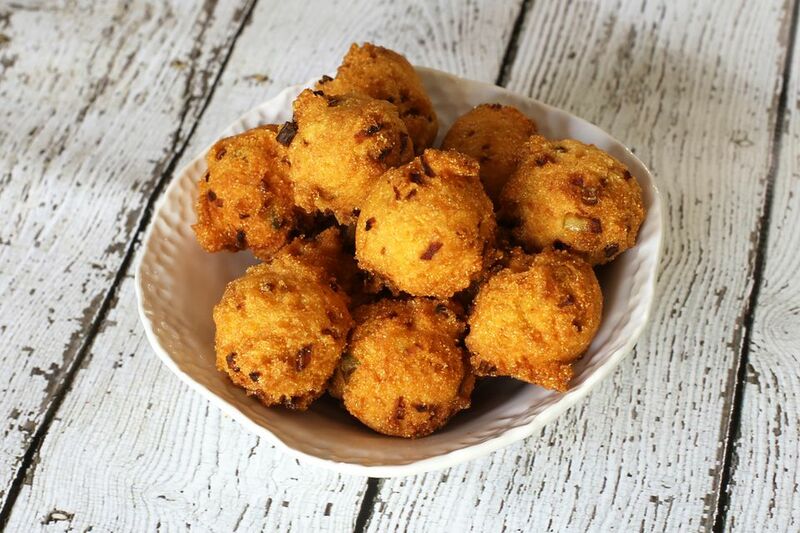 These deep fried cornmeal hush puppies are made with minced green onion and a dash of hot pepper sauce and garlic. Combine the cornmeal and flour with the salt and sugar. Blend in the egg and add enough buttermilk to make a thick batter that will drop slowly but easily from a spoon. Add any green onion and other optional ingredients you want, then drop teaspoonfuls into fat (about 375 degrees) at least 3 inches deep. Fry until golden and drain on paper towels. Keep warm in a low (150° F to 200° F ) oven until ready to serve.